For 20 years, the Global Lodging Forum has been the only international platform staged in France to facilitate a close encounter between the various business areas involved in the development of the hospitality industry: operators, banking institutions, real estate companies and developers. The Crous network is organising its first Student Housing Fair for European non-profit student housing providers. It will be an opportunity to discuss the latest developments, best practices and meet companies providing equipment and solutions for student accommodation. 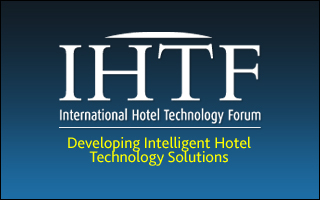 Building on the success of the past 15 years, IHTF 2019 will be bringing together hundreds of leading hoteliers worldwide. Our core aim is to gather hospitality leaders to share success stories and tackle common challenges. SNELAC members and partners meet for two days to meet, exchange and work. On the agenda: the General Assembly, the workshop, a gala dinner, thematic seminars and a technical visit. This event is hosted every year by one of the union's member. The aim of the Class of 2020 sessions is to shape the knowledge ecosystem in which cities, universities and the real estate industry cooperate to make student living efficient, international, and welcoming. The Yelloh! Village seminar is an opportunity for the group to review the past year, reaffirm its values and principles, present its next developments and welcome new franchisees. Atlantica is organized by the outdoor hospitality federation of Charente Maritime. 3 days to invest and optimize the next tourist season, to discover in exclusivity the new products that will be the flagship products of tomorrow. Rediscover the best values, get informed and meet the leading suppliers of equipment and services. The Tourism Equipment and Techniques Exhibition is the european leading exhibition in the outdoor hospitality field. 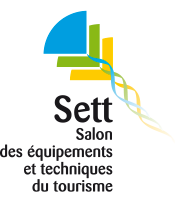 With many formal and informal evenings, SETT® is 3 days of conviviality between decision-makers and exhibitors: the main players in the outdoor hotel market. Les Rendez-Vous du Logement Etudiant are both a moment and a place where industry players can exchange and confront their successes, solutions or difficulties, also sharing their ideas, future projects and innovations. The 4th RDVLE will focus on the preparation of municipal elections and the place of student housing in candidates' future programmes. The must-attend event in the hotel and catering sector. EquipHotel has been the source of inspiration for hospitality professionals for 50 years now. It is the best way to accelerate your development by facilitating the access to solutions and meetings in this market.